Co-worker tensions account for up to 80% of all workplace difficulties, but looking for a new job isn’t always the best solution. Instead, try to make life easier using a series of easy-to-implement techniques. 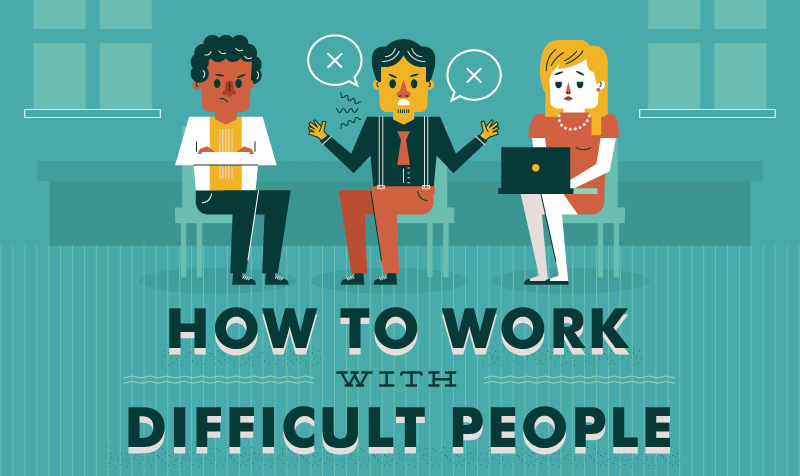 Luckily, there are plenty of steps you can take to improve things, whether it’s through your body language or the way you define your working relationships. Staying calm is essential, particularly as the vast majority of top professionals say that they are good at managing their emotions. It’s not just a case of knowing when you need to keep cool or when to stand up for yourself, you also need to take your colleague’s thoughts and feelings into consideration. Remember that they also will be struggling with this tension. Studies have shown the importance of good communication for maintaining productive working relationships. These are all skills and techniques that you can learn and develop to improve not only your ability to enjoy your work week, but to also your company’s productivity and your own career prospects.